Today was a great day of learning...we started off back in our book clubs. 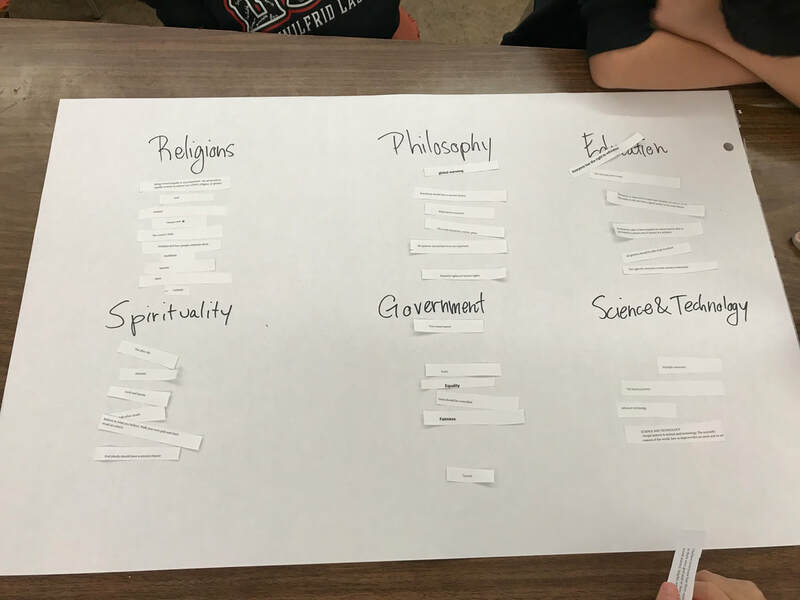 The students had choice in what they were working on in their Novalas they get ready to write their powerful response for their next picture book. They have the opportunity here to be the directors of their own learning. 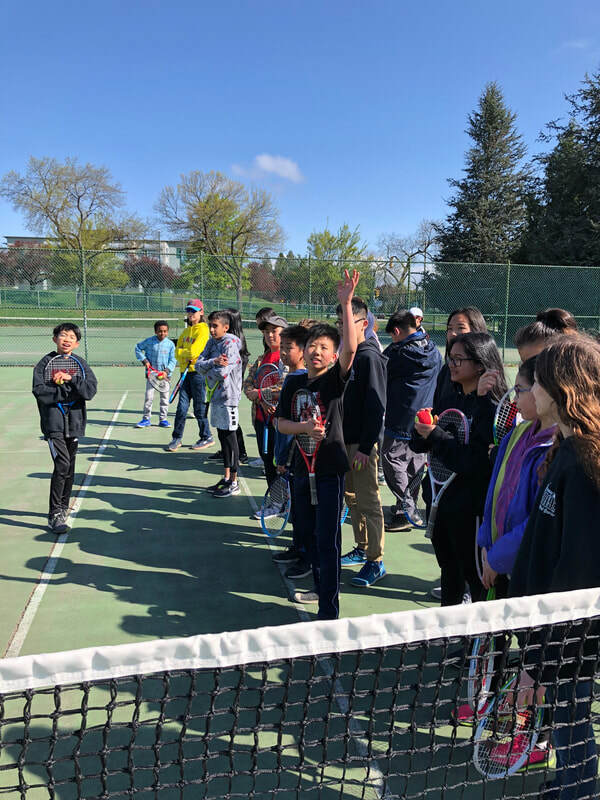 We were outside for another Tennis lesson this morning. After recess we had some time for our read aloud "The Boundless", before getting into how patterns relate to algebraic expressions. This afternoon students had their last chance to make their motors spin before we finished with some French. Please hand in your $25 contribution for the grade 7 celebration to Mr. Fisher or Ms. Chohan ASAP. Make sure your Science Journal is completed and all your learning is recorded. ​Make sure you have finished your brainstorming of activities/experiences from your recent breaks, and what feelings you had. Think about some of the rhyming patterns you found in the example raps. Be ready to write if you have not started already. Today we worked with our motors for the last time, Before we started Mr. Hong talked about why the solenoid coil spins. In a short paragraph explain how magnetisim and electricity combine to make the coil spin. (Hint push / pull). Give another student feedback on their paragraph. Today we started a Rap unit. 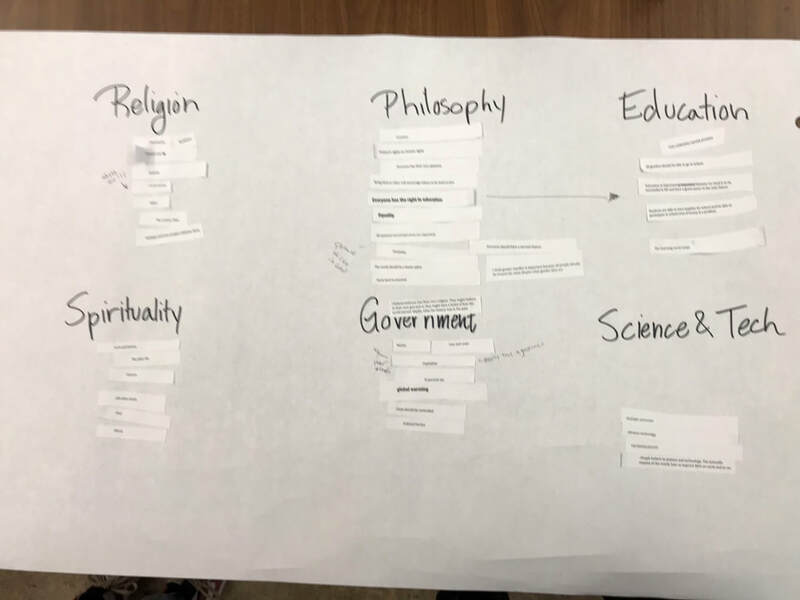 Students were asked to come up with events from Spring Break or Easter Break, as they will need to find a way to wrap it out. It was out to the tennis courts for our first tennis lesson. Students were showing off their skills as they were challenged with different activities on the court. Back inside we started out our Algebra unit in Math by playing with patterns. The afternoon was full of Socials and French. The students are going to find a place in the school where they can lead a friend to get some feedback for the next French project. Where will your map take us? Give and example of one of the patterns you found in our calendar today in Math. And, explain why when you draw a box around 2 x 2 squares on the calendar and add on the diagonals the two sums are the same. Give another student some feed back on their paragraph/story! 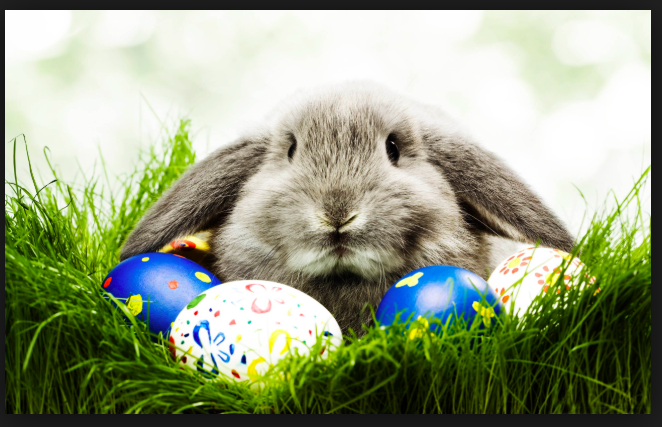 Post some Easter Weekend Gratitude here on todays post! Get a good sleep Monday night to be ready for school Tuesday! Today both division 1 and 2 had a fantastic final badminton lesson. 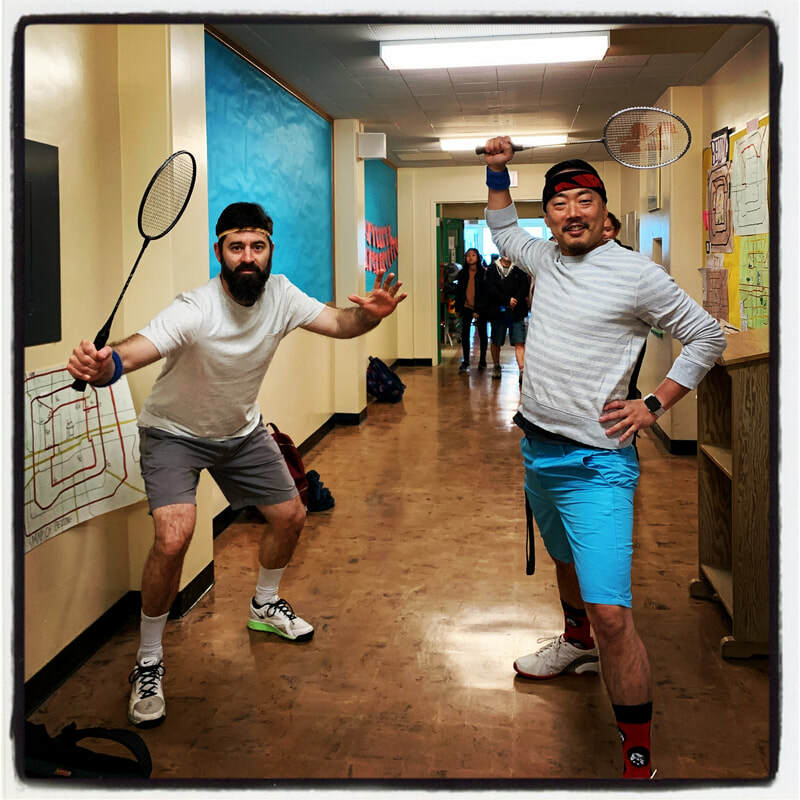 Mr. Hong and I, along with our amazing student teachers got suited up for the final day of game play. In math we worked on solving problems using the order of operations. Then the grade 7's got back to their science challenge of creating a device that creates continuous visible movement. Many groups were successful and moved moved on to making a part of their contraption spin. When one student was successful today she yelped out loud with pride and accomplishment. I can not tell you how happy I was to hear that. These are the moments teachers live for. We finished off the day with our presentation of French Action Songs:) Today was great day in every way! PAR holiday! Study for your tests tomorrow! Ask any questions you may have here and I will help you!! 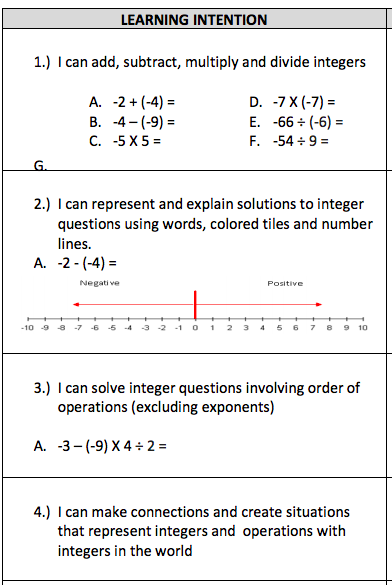 ​Unit evaluation on integers Thursday! Make an equation that can be used to solve the following word problem. Make sure you keep in mind the order of operations. Use brackets to help you. James and Jill are brother and sister. James worked for 5 hrs and got paid $10/h. Jill worked for 5 hrs and got paid $12/h. On the way home James bought a sandwich for $8. While Jill was walking home she found a toonie and a loonie on the ground. That evening James and Jill put their money together and counted it. They then decided to use one third for summer sports camps, donate one third to their favourite charity and save the last third for college. How much did they save for college together? Solve the equation and answer the question in a complete sentence. Students practice their French Action Songs! 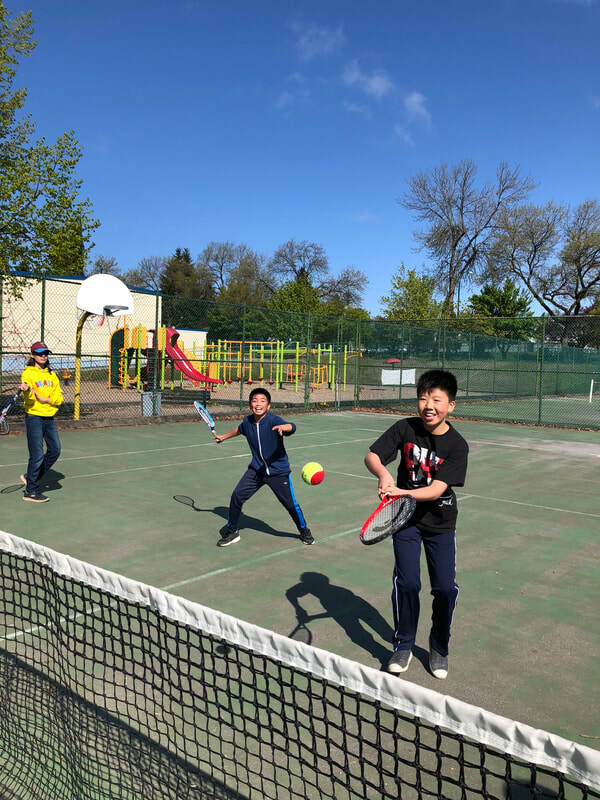 This week is our last week of badminton before we start the school wide tennis unit. 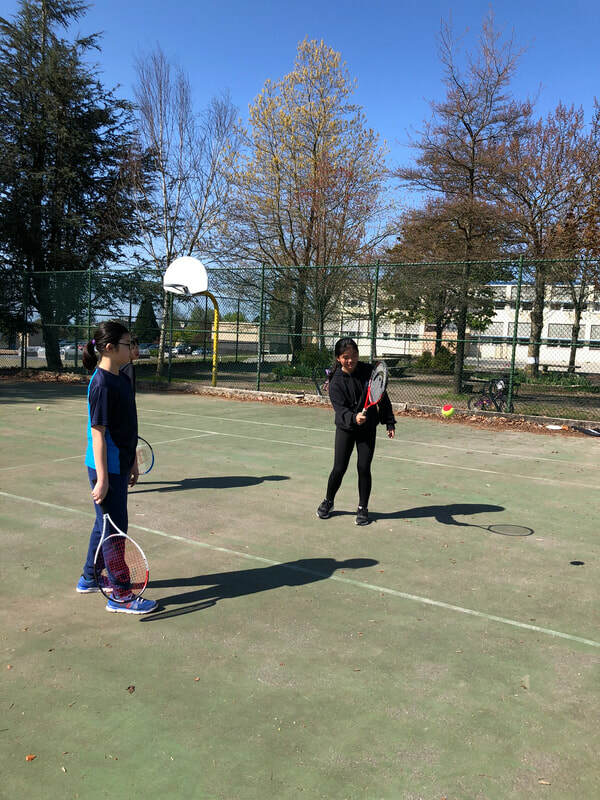 Today students used all their badminton skills to play games. Even in this short time Ms. Chohan and I have seen some solid improvement. 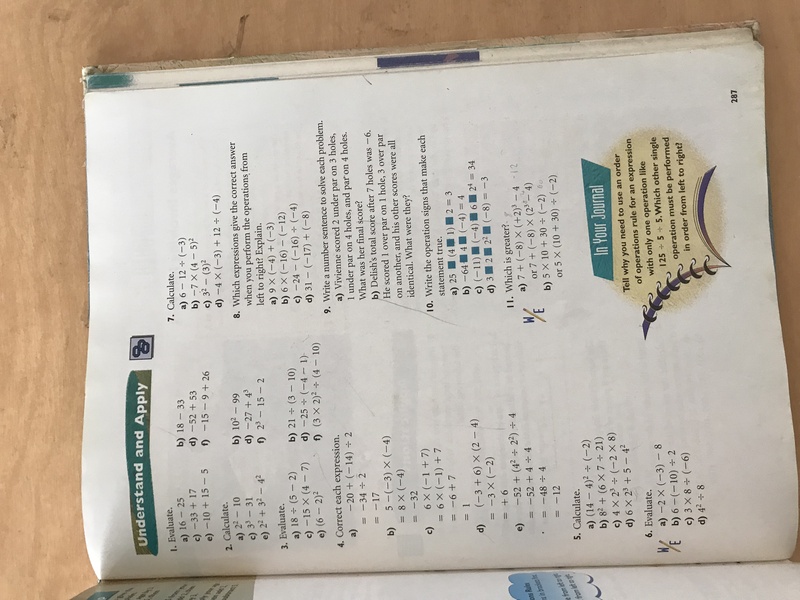 In math we had an assessment on operations with integers to prepare for the unit evaluation which will be this Thursday. 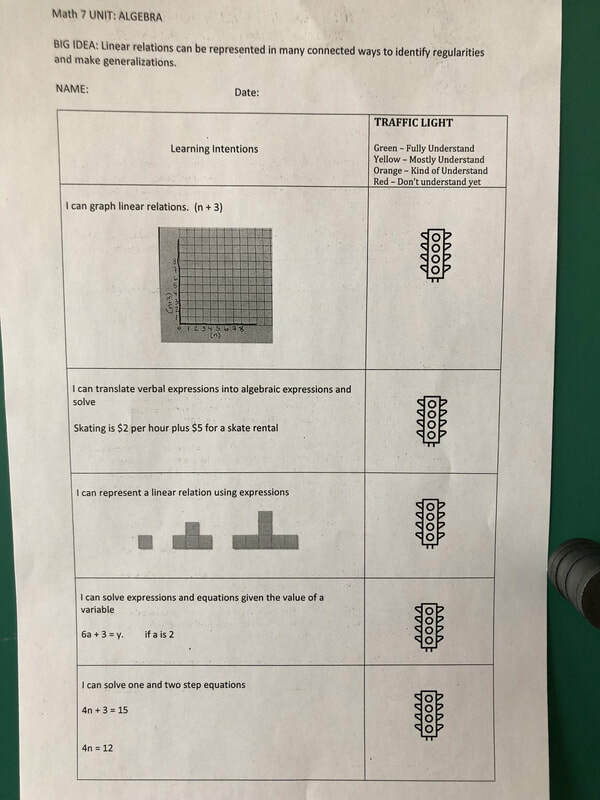 I have completed teaching all learning intentions for the except for the graphing linear relations section. This learning intention will be taught in the next math unit. The afternoon consisted of music and working with Ms. Chohan on French Action Songs. It was a great day of learning! 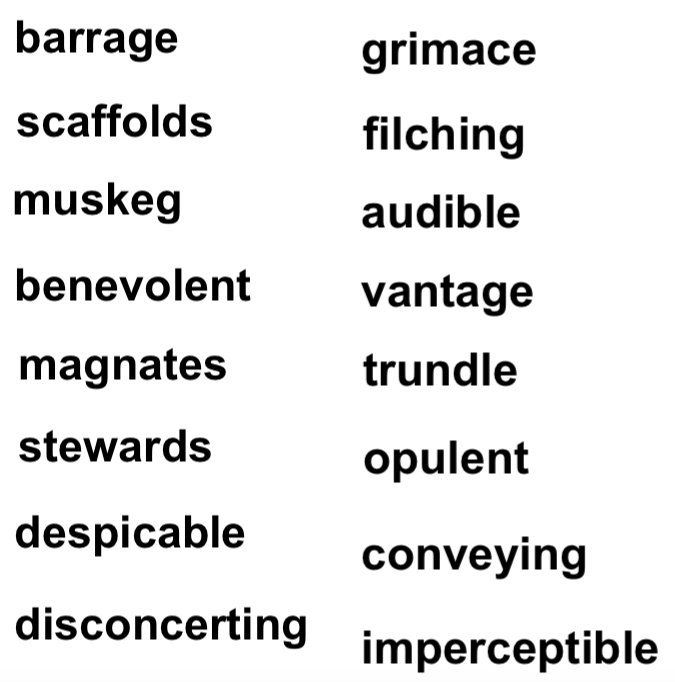 Choose 8 words from your Word Work Unit #20 (posted below) and provide a definition using your own words. Respond to another persons post using their words in a sentence to show the meaning. Ms. Chohan participating in a film making workshop. ​Today, Mr. Collins and Ms. Chohan took over Division 1 and 2 and led the students to the Round House for the REEL to REEL International Film Festival for Youth. The students attended workshops for stop-motion animation and drawn-on/etched-film animation. Later, we all participated in a viewing of several short films - Cat Days, Mahalia Melts in the Rain, Your Mother is a Thief, and the Schoolyard Blues. The sun was lovely for our walk, both ways, today! Post some some daily gratitude on the class GRATITUDE JOURNAL page above for each day this weekend. Work on your visible thinking at home and bring everything to school on Monday! Field trip tomorrow: leave school @ 8:45am! It was so great to see your families at the conferences. You are all so lucky to have such wonderful support teams who care so much about your learning and life at school! I really enjoyed chatting with you all and seeing you share all you have learned at Laurier this year with your families. You are all amazing people and showed such ownership of your learning. We are all so proud of you and you should be proud of all you have accomplished. Lets make a commitment to keep it up and power though to the end of June. Full steam ahead! #thelearningneverstops!!!! We need to leave school at 8:45am so come early! 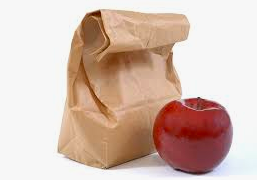 Bring a bag lunch, not money. Post some some daily gratitude on the class GRATITUDE JOURNAL page. If you missed any days catch up today. You should have 3 posts in the journal by now! Click to show your Dramatic Reading to your family! Part 1: Post some some daily gratitude on the class GRATITUDE JOURNAL page. If you missed yesterday you MUST add in two things you are grateful for today! They do not have to be big things that you are grateful for, but they must be real! Today for your PAR I would l like you to explain which belief system interested you the most. Provide a detailed rationale to explain your choice. Please proof read your PAR before you post it! Give another student some feedback on their post.